Our Birthday Parties are incredibly fun, super engaging, and SO easy to host! Just show up with the food & cake and we will handle the rest! You can actually enjoy your child’s birthday party – imagine that! 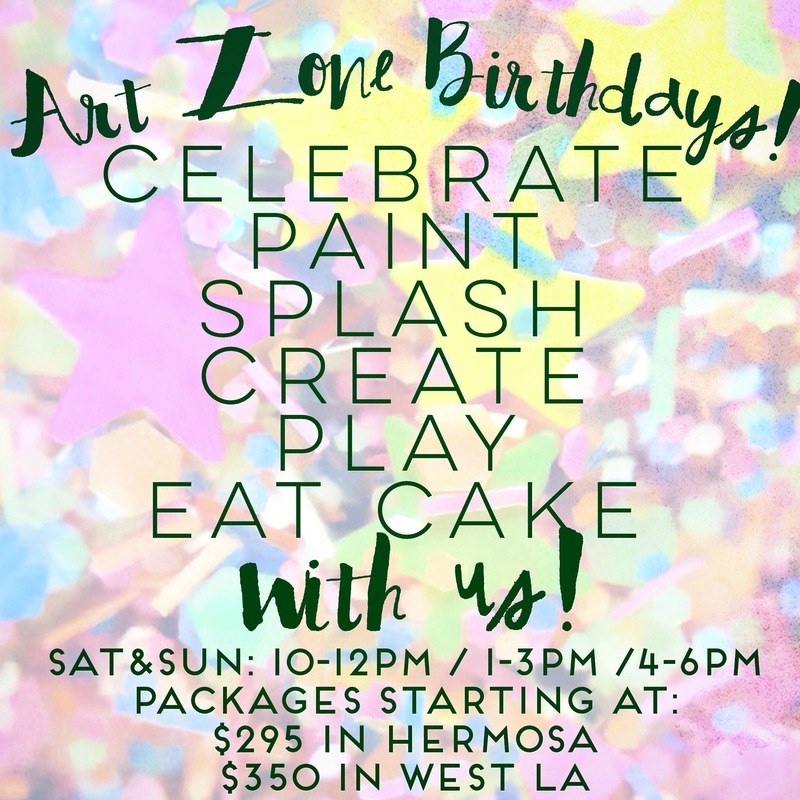 We have endless art, painting, crafts, play, goo, water room and squirt room fun for the kids -and everyone gets to take home a big bag full of their own special artwork! Call us to find out more about availability for your child’s special day! Like Art Zone on Facebook! ©2014 Art Zone. All Rights Reserved.